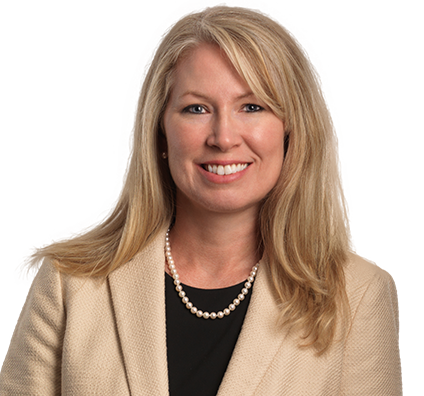 With a master’s degree in taxation and experience as general counsel for a national corporation, Stephanie understands what is important to CEOs and executives. Stephanie’s practice encompasses general corporate, finance and lending, real estate, and transactional representation. Because she worked for nearly a decade in the legal department of a large facility management company, she brings unique awareness of the business side of transactions. While many executives view the law as a block to achieving goals, Stephanie helps clients understand risks, options and recommendations so they can formulate their own business decisions. Then, she counsels them on how best to accomplish their goals within the confines of the law. Stephanie advises clients primarily in the real estate and service industries. She drafts and negotiates agreements and commercial contracts, provides corporate representation, and facilitates real estate transactions and financing. She is known for being responsive, reasonable and receptive to new ideas. With a keen understanding of both the business and human sides of transactions, Stephanie tailors her service approach to each client. Stephanie devotes her time outside the office to her three young sons and two grown stepchildren. She and her husband enjoy golfing when they find free time.